I am a collector, dealer and valuer of oriental and european rugs. After several years working with carpets at international auction houses, latterly as Head of Department of Sotheby's European Rug Department, I established my own business in April 2004, based at home in Kent, South East England, 50 miles from London. I am passionate about the subject, and areas of particular interest include early Ottoman, 18th and 19th century Kurdish, and 19th century South Persian tribal rugs. However, as I am drawn to any rug that has good, saturated colours and a spark of originality and energy, you will see from browsing through my online inventory that I buy and sell a diverse range of rugs, kilims, trappings, runners and room-size carpets. This website is my shop window, where images of all current rugs in stock can be quickly accessed. 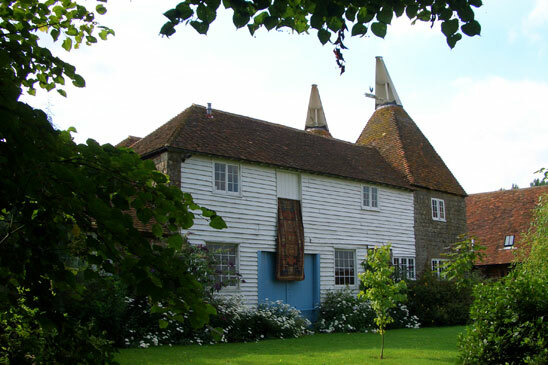 Further images and condition reports can be provided, and all items can be viewed, by appointment only, in my Kentish Oast House. Where possible, I am also happy to take rugs directly to my clients' houses so that they can be viewed in situ. If I do not currently have the rug that you are looking for, please email your requirements, and I will do my best to quickly source suitable candidates. I have contacts in the trade and amongst the collecting community all over the world, and can usually find exciting and beautiful pieces for my clients at highly competitive prices.